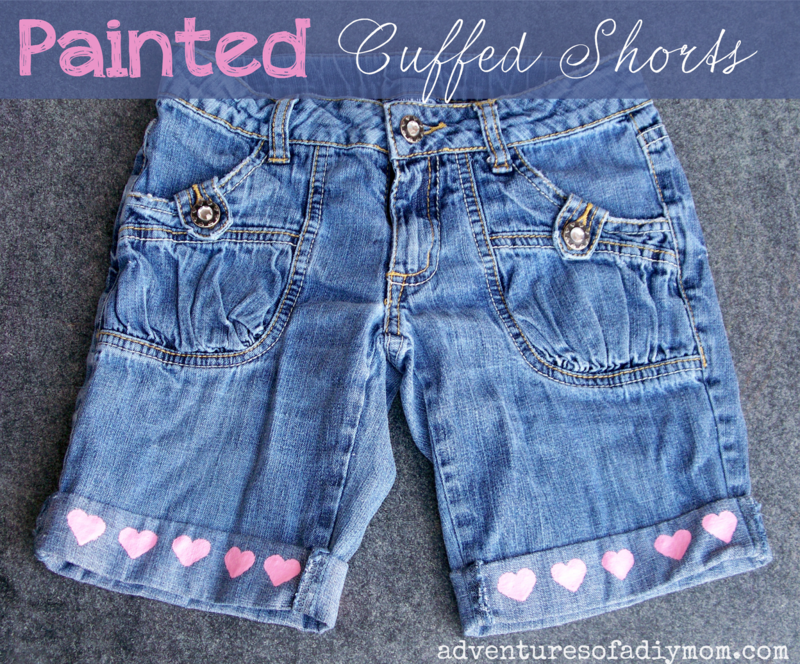 Today I'm sharing the last installment in my Cut off Jean Shorts Series. 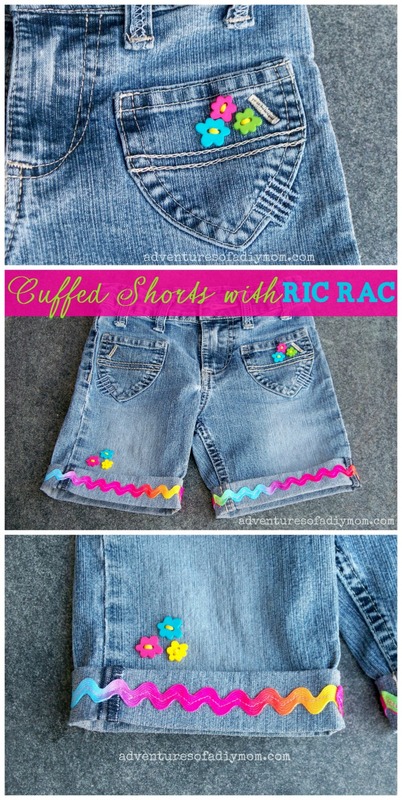 There's actually two pair of shorts, but the technique is the same. 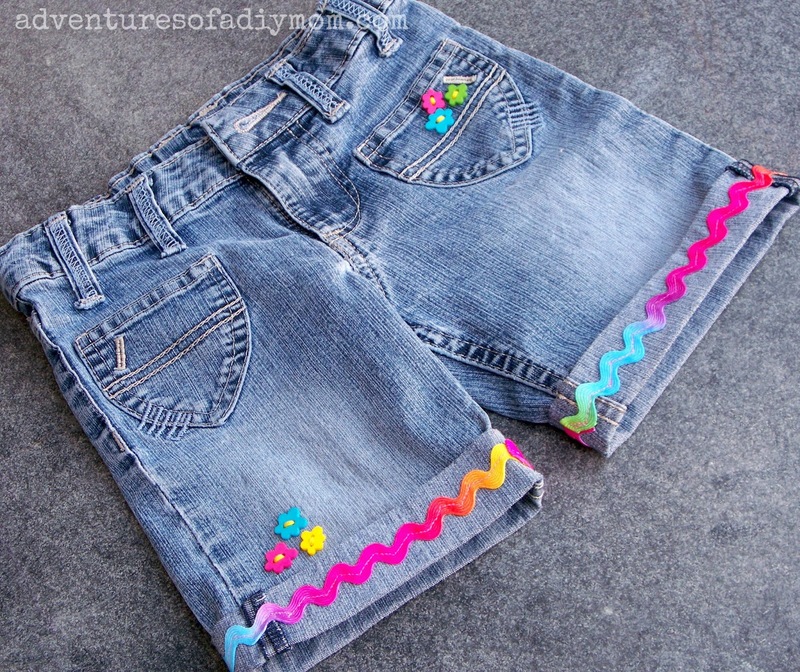 Cuff the shorts, sew on some ribbon and buttons and you have a totally transformed pair of shorts. 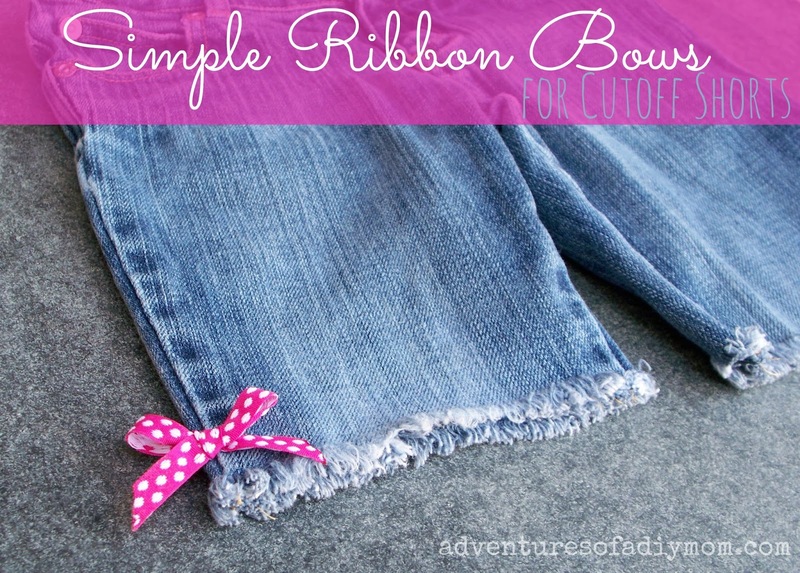 Begin by cutting an old pair of jeans at the knees. 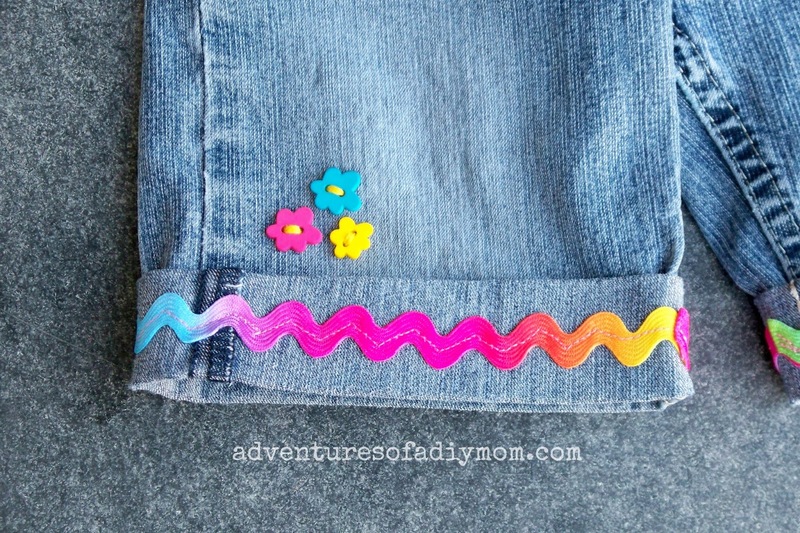 Fold them up twice and press them in place with an iron. Now it's time to sew on some ribbon. One of my daughters just had to have this pink sparkly ribbon. 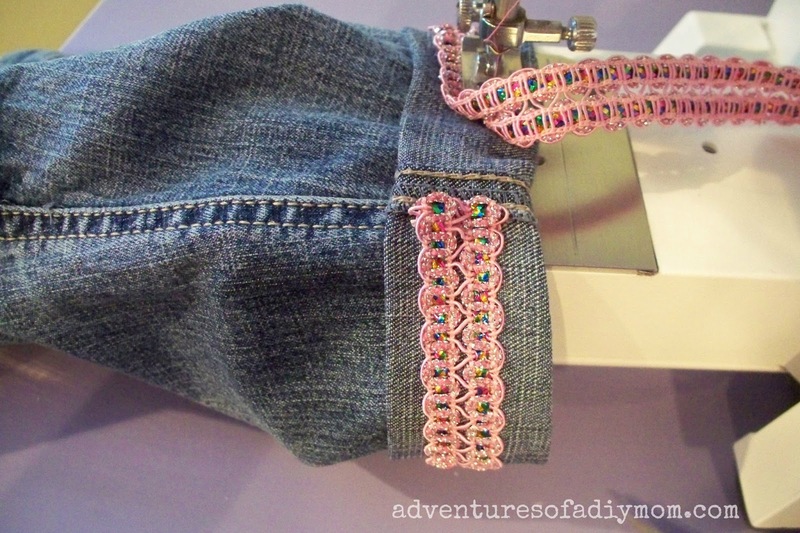 I folded over the end, placed it at the inner seam and sewed along the bottom edge of the ribbon. When I got near the end, I cut off the ribbon with just enough to fold it under at the seam and continued sewing to the fold. Then I went back and sewed along the top edge of the ribbon all the way around. Next I added some fun dragonfly buttons. I used 6-strand embroidery thread and added three buttons on the leg. 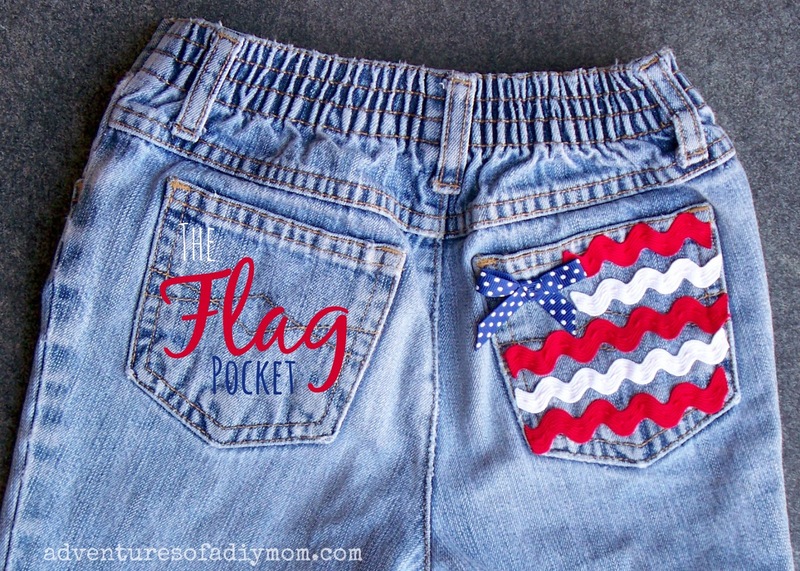 Then I added three more at on the front pocket. 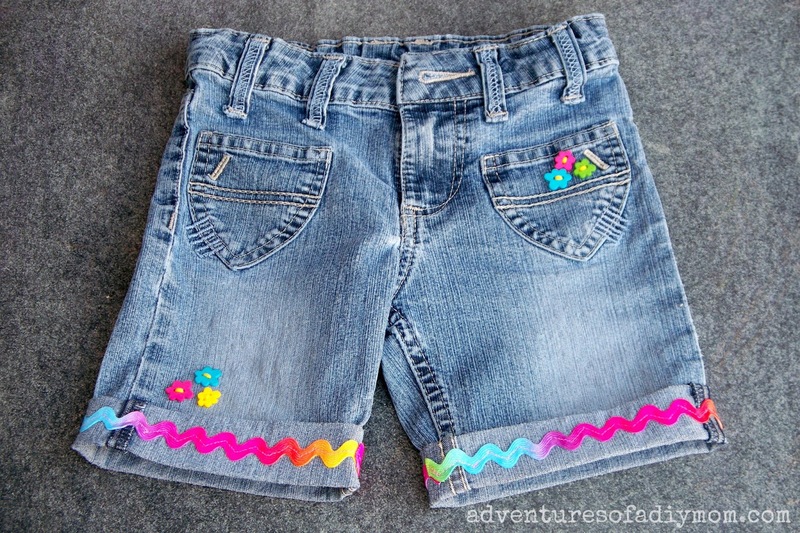 Then I repeated the whole process with some cute rainbow ricrac on another pair of shorts for my youngest daughter. 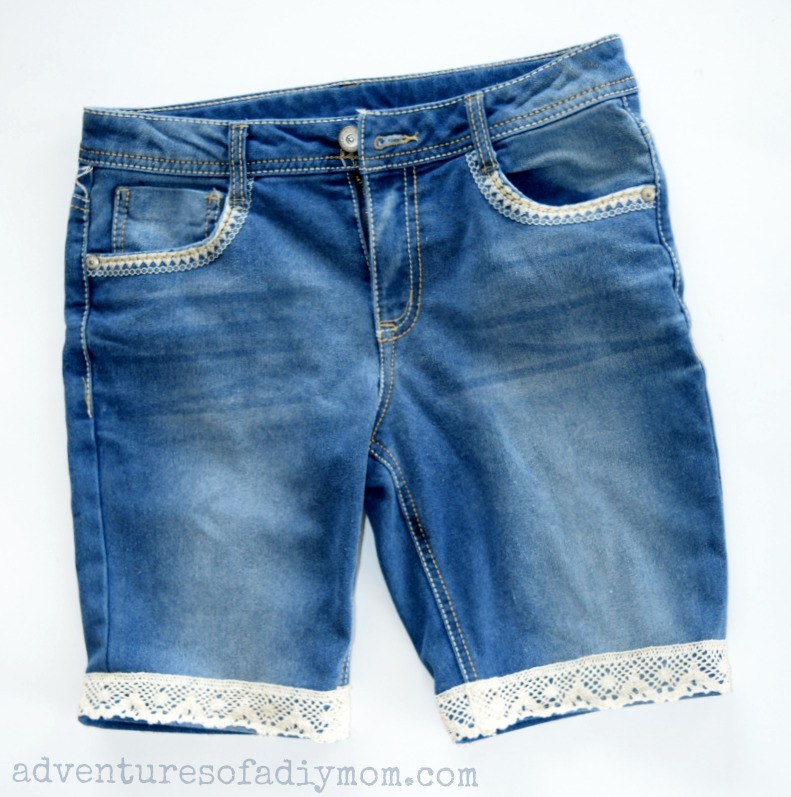 I think these are my favorite shorts that I've done. I love the rainbow ricrac. 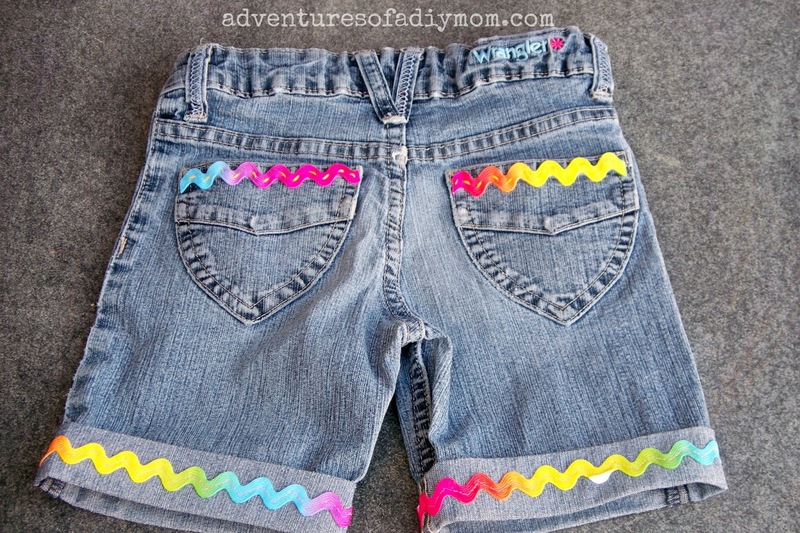 She has so many fun bright shirts that all seem to go with these "new" shorts. I hand stitched some ricrac to the back pockets of these shorts as well. And of course added some cute buttons. Found your post from Pinterest. They are super cute! I'm going to make some for both my daughters and myself. Yay! 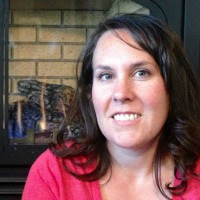 So glad you're here! Good luck with the shorts!